Where visceral music artfully meets the insightful. 16 hours 11 min ago. Elainie Lillios, "Liquid | Crystal | Vapor" for viola & live electronics (2018) from Kurt Rohde's Farewell Tour - PART 2 March 4, 2019, San Francisco Conservatory of Music, San Francisco, CA 1 week 3 days ago. Ramteen Sazegari, "Counterpane" for amplified viola (2017-18) from Kurt Rohde's Farewell Tour - PART 1 May 18, 2018, Center for New Music, San Francisco, CA 1 week 4 days ago. Tina Tallon, excision no. 2 - "they didn't know we were seeds" for amplified viola & live processing (2018-19) from Kurt Rohde's Farewell Tour - PART 2 March 4, 2019, San Francisco Conservatory of Music, San Francisco, CA commissioned by the Barlow Music Foundation 1 week 4 days ago. Kurt Rohde, composer/violist shared a post. 1 week 6 days ago. It is so not perfect, but overall the important stuff is in there, and for a live performance I refuse to continue to beat myself up over the stuff I let slip by. This is such a fantastic piece! Thank you Rebecca Clarke!! https://soundcloud.com/kurt-rohde/rebecca-clarke-viola-sonata-mm-i-impetuoso-poco-agitato-1919 1 week 6 days ago. When Kurt Rohde came to San Francisco in the ‘90s, he had long given up being a composer. As a violist, he was thrilled by the possibilities of pursuing life as a new music performer. He quickly connected with a crowd of like-minded performers and as his creative life flourished, found himself drawn inexorably and unconventionally back to working as a self-taught composer. The music he found himself creating was stylistically open and richly expressive and supported by the inspiration of his friends and fellow musicians, Rohde found a place for his work to thrive in the Bay area. 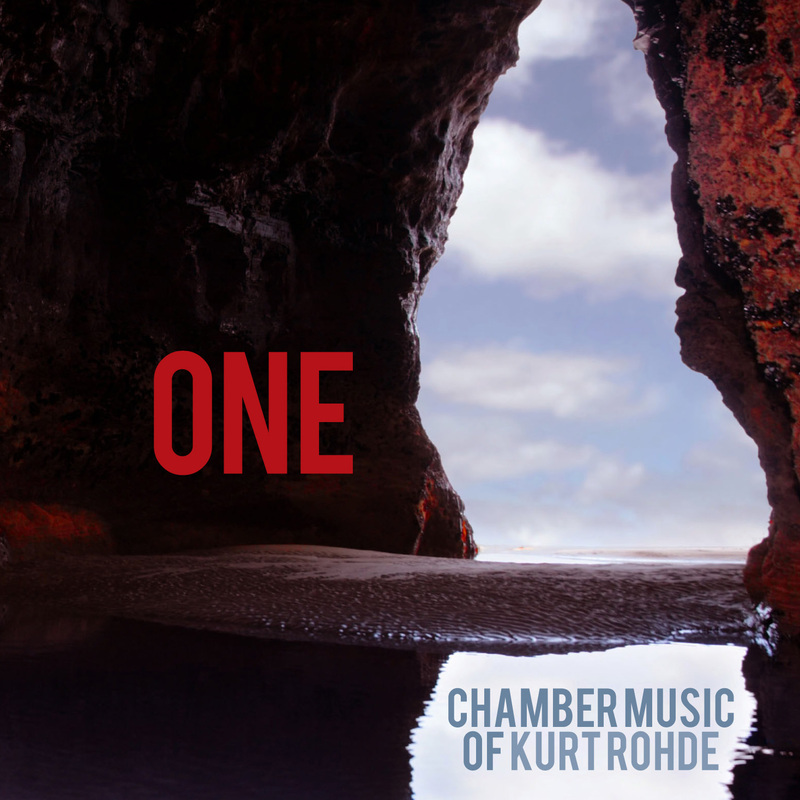 Rohde’s innova debut, ONE: Chamber Music of Kurt Rohde, features performances by violinist Axel Strauss, pianist Genevieve Feiwen Lee, the Left Coast Chamber Ensemble, and the Empyrean Ensemble in various settings. “Concertino for Violin and Small Ensemble” (2010) was composed for Axel Strauss, winner of the Walter W. Naumburg Competition and features the Left Coast Chamber Ensemble, a group Rohde founded, which takes a Baroque concerto grosso into the 21st Century. “ONE for speaking pianist on texts of Jakob Stein” (2009) showcases pianist/speaker/percussionist Genevieve Feiwen Lee as she weaves a tale of seclusion, revelation and resignation drawn from Stein’s poems about Judaism and the nature of being. The arc of this plaintive, introspective, and engrossing work is dramatic and powerfully intimate. The relentless, dynamic energy of “Double Trouble for Two Violas and Small Ensemble” (2001/2003) will leave the listener thrilled long after the music has ended. It is a tour de force for not just the soloists, but for the ensemble as well, and captures the forward momentum found in much of Rohde’s works. “Four Remixes for Piano Trio” (2011) takes four well-loved pop songs and reframes them through the lens of Rohde’s memory. What he finds are fractured, altered memories, each individually distinctive and personal. At times, these remixes come close to being love songs to a past memory that Rohde wants to share with his listeners. Rohde has received the Rome Prize, the Berlin Prize, a Radcliffe Institute Fellowship, and a Guggenheim Fellowship. "[E]ach piece … follows its own uniquely arresting course with determined intensity and a concentrated use of resources. Nothing seems to happen casually, so the influences that permeate Rohde's music … become indivisible parts of a dynamic, energetic … flow."